UPDATED Mega Moolah Casinos List. The Jackpot is now €11 million. Play it here! Are you about that Jackpot life? 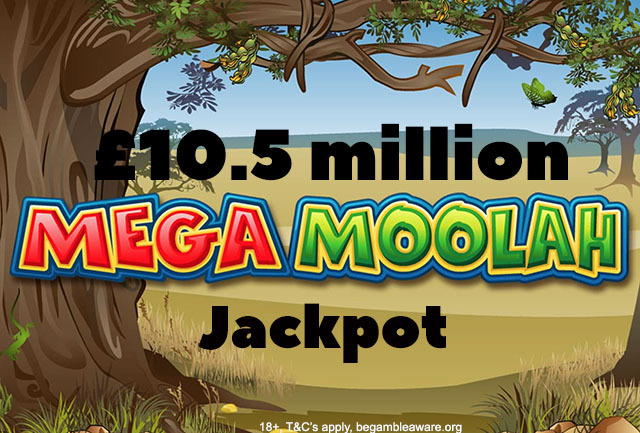 Well whether you are or not, the Mega Moolah jackpot has now reached an amazing £10.5 million if you’re playing in pounds, €11 million if you’re playing in Euro and $18 million if you’re playing in CAD. Remember that the jackpot will be paid out in the currency that you will be playing in. Another important thing to note is that the higher you bet, the more likely you are to hit the jackpot. So players who are betting €/£/$5 or more have a higher probability of hitting the jackpot than players betting less. We have updated our Mega Moolah Casinos list to give you a wider range of casinos to play at. **BEST OFFER – Zodiac Casino – what a buck can get you! At Zodiac Casino, make a first deposit of only CA$/€1 and get 80 Chances to play an assortment of jackpots. *NOTE, when you deposit $/€1, you will be credited with $/€20 immediately which will give you 80 chances to play an assortment of jackpots including the Mega Moolah at 0.25 cents a spin. At Zodiac Casino, make a first deposit of only £1 and get 80 Chances to play an assortment of jackpots. *NOTE, when you deposit £1, you will be credited with £20 immediately which will give you 80 chances to play an assortment of jackpot slots including the Mega Moolah Jackpot at 0.25 cents a spin. Get an Exclusive 20 No Deposit Free Spins on the Avalon Slot and a huge £/€/$1000 Welcome Package. The 20 No Deposit Free Spins are only available on the download version of Luxury Casino. 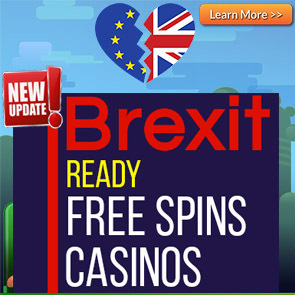 This means you will have to download the casino and install it in order to play the 20 No Deposit Free Spins on Avalon. Only windows computers are currently supported so if you are playing on a mac, you will not be able to access the 20 no deposit free spins. Get up to 700 Spins for the first 7 days and a £/€/$100 Match Bonus on your first deposit. Get a 125 Chances to win Massive jackpots at Yukon Gold for a deposit of €/CA$10. * 125 chances will be credited as an instant $/€31.25 bonus which may be used to place 125 CA$/€0.25 bets on the progressive jackpot slot games like the mega moolah etc. Second Deposit: Get a 100% Bonus up to €/CA150. 1st Deposit: 125 CHANCES FOR ONLY £10! * NOTE: 125 chances will be credited as an instant £$31.25 bonus which may be used to place 125 £0.25 bets on progressive jackpot slot games like the mega moolah etc. 2nd Deposit:100% MATCH BONUS UP TO £150! See full Yukon Gold Casino terms and conditions. 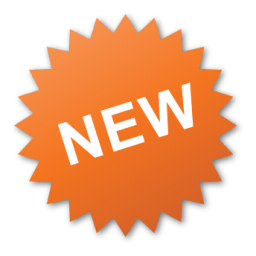 Get a superb £/€/$1500 Welcome Package on your first five deposits. See full Golden Tiger Casino bonus terms and conditions. Get a 100 Chances to become an instant millionaire at Captain Cooks Casino for just £/€/$5 on your first deposit. * 100 chances will be credited as an instant £/€/$25 bonus which may be used to place 100 £/€/$0.25 bets on the progressive jackpot slot games like the mega moolah etc. On your second deposit, get a 100% bonus up to £/€/$100. On your third deposit, get a 50% bonus up to £/€/$150. On your fourth deposit, get a 25% bonus up to £/€/$125. On your fifth deposit, get a 100% bonus up to £/€/$100. 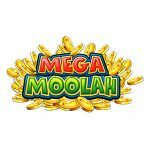 Posted in Micorgaming Free Spins and tagged mega moolah casinos, Microgaming Casinos. 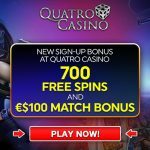 ← New Casumo German Welcome Offer – Get 20 Free Spins no deposit on registration!